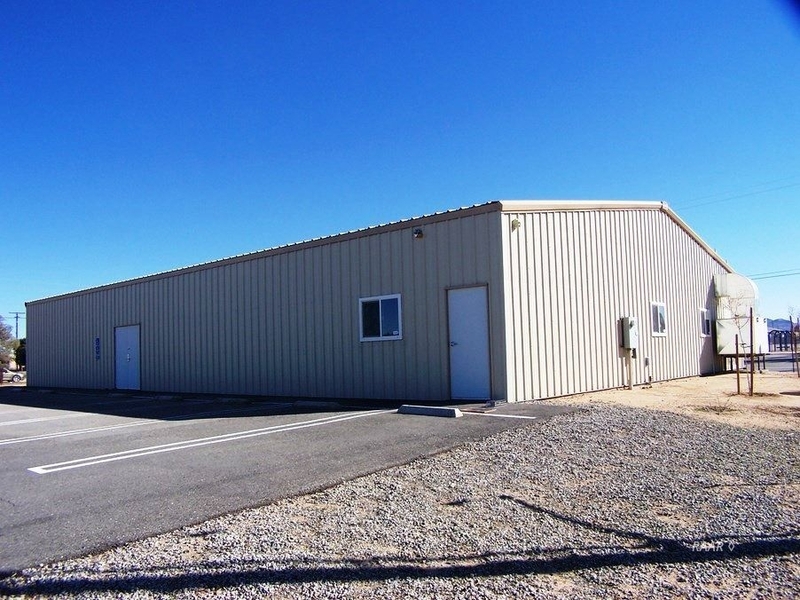 FULLY INSULATED METAL BUILDING JUST OFF HWY 178! Located just off of Highway 178 in downtown Inyokern! Steel beamed and ready for a shop, retail, or warehouse use! Large side entry double freight door. Features two 135 sqft interior office spaces (14'6"x9'4" each) with, carpet, swinging entry doors and dual pane windows. ADA compliant bathroom with tiled floor and half-tiled walls. Protection One alarm system installed. Richdel Irrigation timer. Industrial sized AeroCool unit, and ceiling mounted Reznor furnace. Building has fully insulated walls and ceiling. Property is fully fenced. Nine parking spaces including handicap space, all painted. Storage sea bin also included (8'x19'10'). Building was only lightly used in the past. SPACE TO STORE IT OR START IT!